Almost 30 years ago, Nike was asked to collaborate on a movie that would feature scenes set in the futuristic world of 2015. The brand was challenged to imagine sneakers that would suit the inhabitants of the advanced era. The innovation team, which regularly looks into a crystal ball of athlete insight and technology to project the future of sport, took that task further. 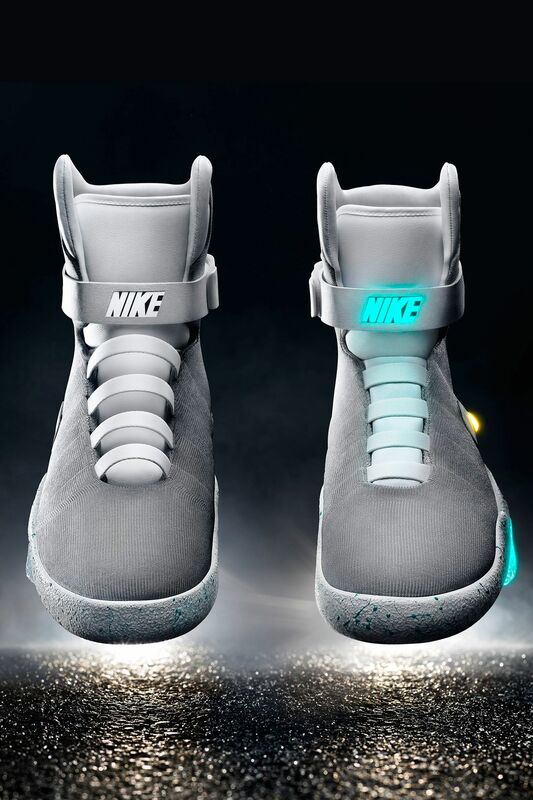 The resulting Nike Mag reinvented the conventional lacing system, integrating it into an inimitable design that became an enduring beacon of popular culture. As NIKE, Inc. President and Chief Executive Officer Mark Parker put it, “We started creating something for fiction and we turned it into fact, inventing a new technology that will benefit all athletes.” Today, Nike delivered a gift to Michael J. Fox introducing the innovation to the shoe’s first, and most celebrated, wearer. “By imagining the future we create it. Product that comes alive, with on-demand comfort and support when you need, product that senses you and adapts to you is right around the corner.” added Parker. The 2015 Nike Mag is a limited edition release. It will only be available via auction, with all proceeds going to the Michael J. Fox Foundation for Parkinson’s Research.